All the girls like beautiful, including me. The beauty industry is prosperous and is the first choice for many people to start a business. 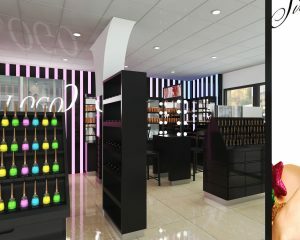 If you want to open a cosmetics store, come to us. We will give you some good suggestions for your reference. 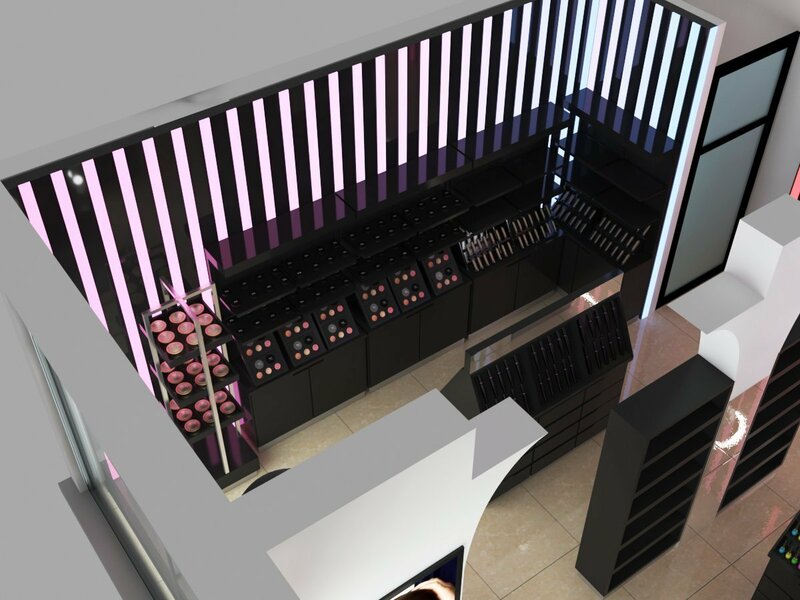 If you have a better idea, you can tell us that we will customize your own cosmetics store according to your needs. Our designers usually customize the design according to the floor plan provided by the customer. A good pattern is very important, to make the most of your space. 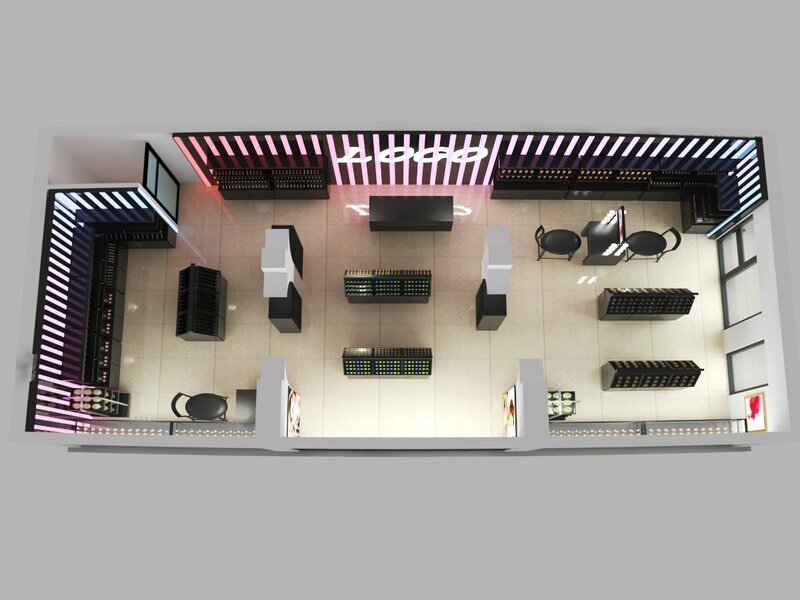 Here I want to share a high-end cosmetic shop design for you. Please follow me to see this design. 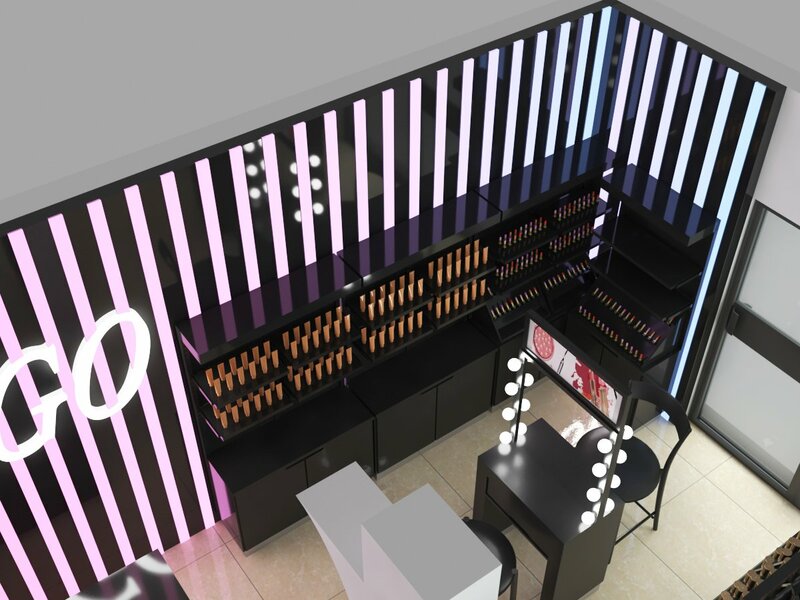 This design is based on the design of the MAC store. The overall design style is more popular among modern young people. As soon as you enter the door, you can see a checkout counter with a colorful lamppost on the back wall that is very attractive to the customer. 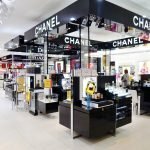 The store is surrounded by rows of high cabinets for lipstick, powder, toner, lotion and more. The top of the cabinet is the display area, and the bottom is the storage area for storing some goods. We will use the MDF with black baking paint to make the store furniture. Others include the lighted box, LED strip lights, same lock with key, stainless steel and so on. 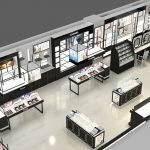 How to start the design for the cosmetic store? For the store design, we usually charge 500$ for the design deposit. But it will return to you when order. Actually, it is for free. 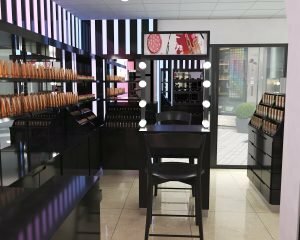 If you want to start your own cosmetic business, don’t hesitate, we will help you make the attractive cosmetic store then you will earn a lot of money. Welcome to inquiry! Hope we can establish a good business relationship! Thanks for reading! Please feel free to contact us on Email: sales08@uniquekiosk.com.